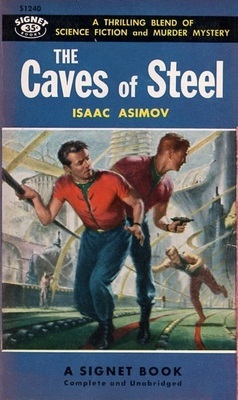 Galaxy Science Fiction began its fourth year of publication with the October, 1953 issue. Editor H. L. Gold kept up a great pace of monthly issues, each one containing all original stories, many of which were later reprinted. 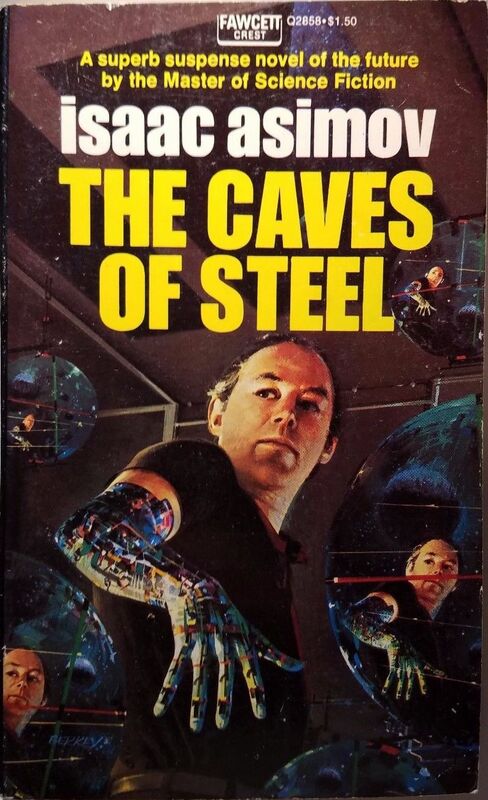 I applaud Gold for his efforts as I do editors of today’s fiction markets, who, like Gold, are striving to deliver great works of fiction to the world. 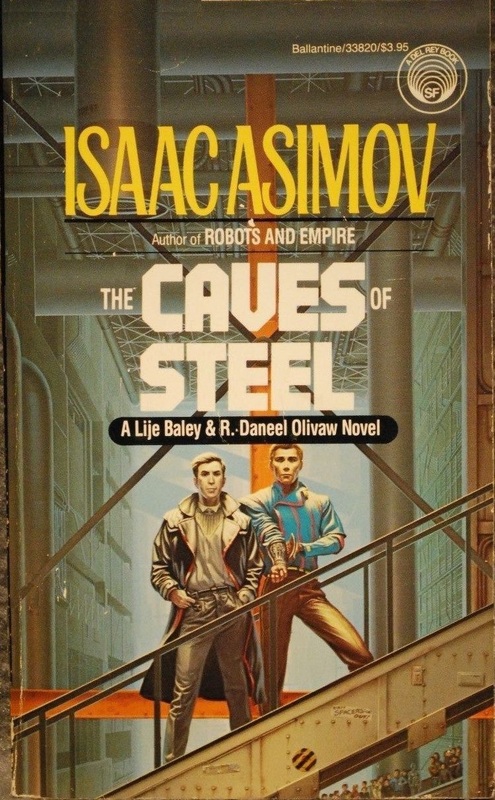 The Caves of Steel (Part 1) by Isaac Asimov — Lije Baley is a police detective in New York — an immense city spread over two thousand square miles (compared to the mere 300 of the early 21st century). Covered by a roof and walled in, like all other Cities, it’s like a cave. Those who had ventured into space to colonize beyond Earth are known as Spacers. 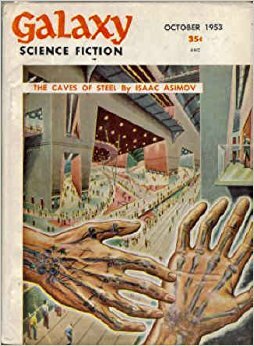 Over time, their technology advanced beyond the people on Earth, and when some of them returned to establish their own territory on Earth called Spacetown, no one on Earth had the power to stop them. 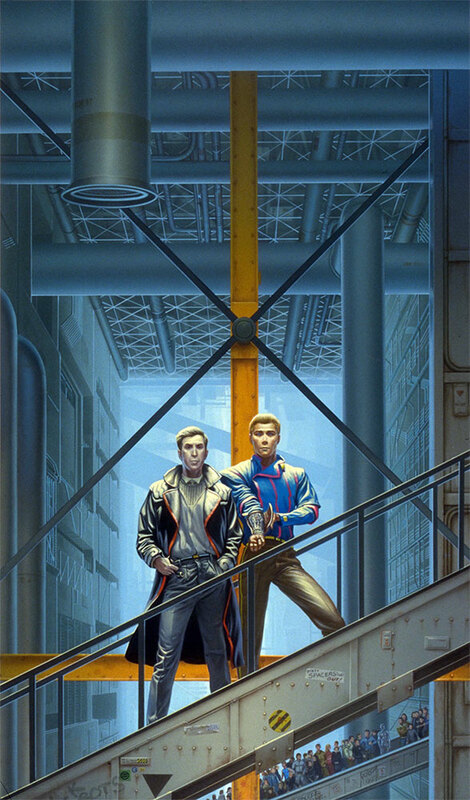 The police commissioner summons Baley to inform him that a Spacer was murdered in Spacetown. If they can’t find the murderer, the Spacers could ask Earth to pay indemnity fees, which would only fuel further outrage toward Spacers. Or if Earth refuses to pay, the outer world governments could use their advanced technology to harm the Earth in other ways. 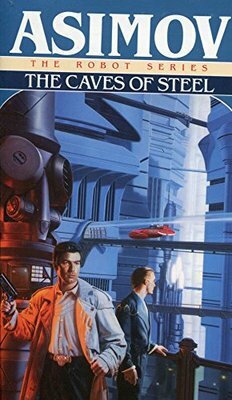 Baley agrees to investigate, but the commissioner tells him the Spacers will only keep the murder confidential if one of their agents helps on the case — a robot named Daneel Olivaw. 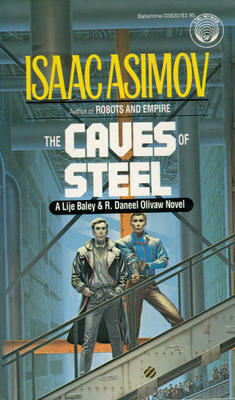 Asimov has created an amazing world with this novel — imaginative yet gritty with tension. I can’t wait to see how the story continues to unfold. It’s been a great ride so far. “The Model of a Judge” by William Morrison — A colony on one of Saturn’s moons holds a baking contest. The judge is a reformed carnivore named Ronar whose sense of taste is well beyond that of any human. He’s confident in his ability to choose a winner, but he’s amused by the varying ramifications in choosing each of the three finalists. I wouldn’t have thought a story about a baking contest would be this interesting. But I was hoping for a more explicit ending — where he ends up choosing the winner based on what they taste like; with the given ending, I couldn’t tell if Ronar just has a passing carnivorous thought or if he’s planning on going rogue. “The Carnivore” by G. A. Morris — A woman who survives a worldwide nuclear war is visited by aliens whose humanoid appearances resemble timid animals, such as rabbits or mice. She asks why they didn’t intervene — that if they’d come sooner, Earth might have survived beyond a small group of survivors. The aliens respond that they feared the humans — carnivores who were on the verge of space exploration — and their only concern was hiding. 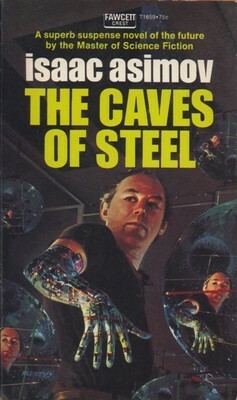 Morris is a pseudonym for Katherine MacLean. 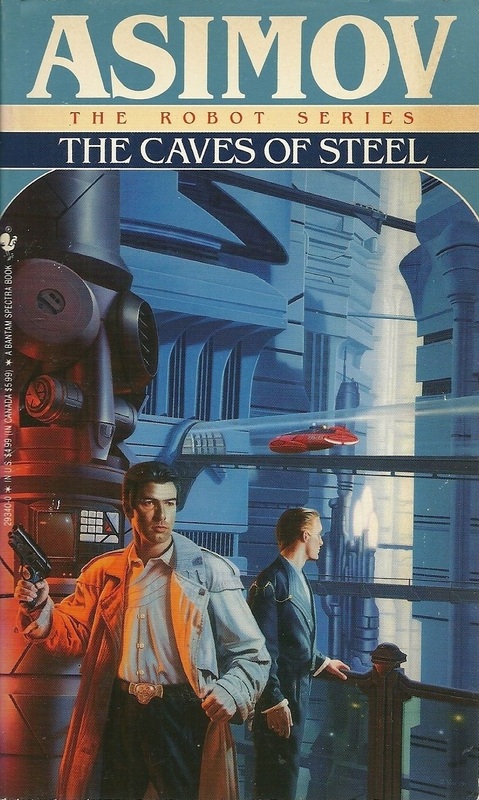 MacLean puts a solid character around the protagonist, and I found the ending surprising. “Origins of Galactic Etiquette” by Edward Wellen — This is another collection from Wellen of comical flash fiction; this one is themed around etiquette. While interesting, I didn’t find this collection very humorous. “With a Vengeance” by J. B. Woodley — A man named Kyle becomes First Imperator of Terra, much to the shock of a former employer. George Booth recalls firing Kyle twenty years ago from a newspaper company due to his poor grammar. When George receives a summons to meet Kyle, he expects retaliation, but he doesn’t expect the manner in which it’s dealt. “At the Post” by H. L. Gold — Clocker’s wife has been committed to a psychiatric hospital. She’s unresponsive to those around her, determined instead to teach dance steps as though she has an audience. Clocker’s aware of others who suffer as she does and believes there’s a pattern — that someone or something is behind the cases. In order to solve the problem, he first needs to understand what or who he’s up against, so he tries to make himself a target — someone who has a lot to teach, if anyone is willing to listen. Gold presents interesting ideas around alien encounters. He does a good job of Clocker’s character — a rough, street-smarts guy who’s trying to get his wife back. I do wonder in a case like this who edits the editor’s story. 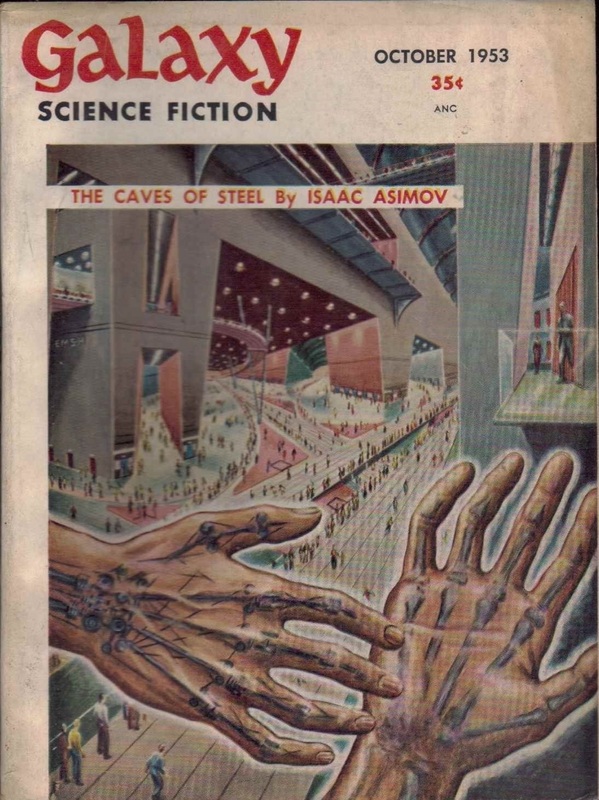 Matthew Wuertz’s last retro review for us was the September 1953 issue of Galaxy. 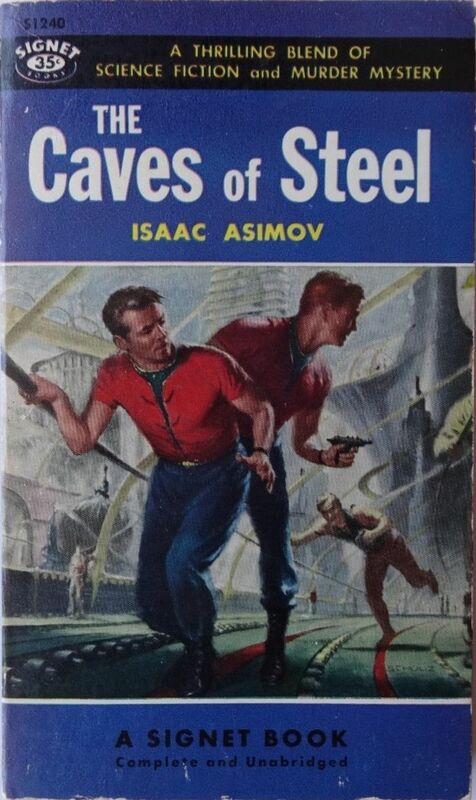 The Caves of Steel is one of my all-time favorite novels for its perfect blend of science fiction and mystery. Amy, I’m glad you enjoyed it. It’s been a fun read so far.